Amigos! Look what just arrived ‘novo’ in Brazilian electronics stores and the local Apple.com store: it’s the new Apple TV (via Telecompaper). Compared to the ‘old’ Apple TV, the television add-on comes with a single-core A5 chip and increased memory, and lets users watch 1080p video content. 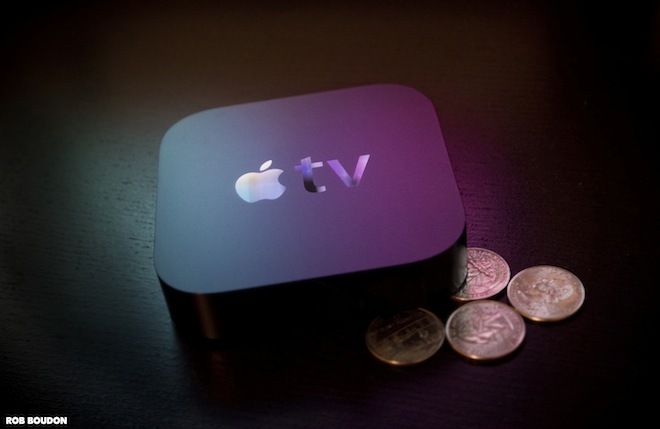 In the United States, the new Apple TV box costs $99. In Brazil, however, the price is 399 Reals – or roughly $211. When the ‘old’ Apple TV device hit Brazil at the end of last year, The Next Web’s Anna Heim already touched on the fact that Apple products are usually much more expensive in the Brazilian market than almost any other market. The $R 399 price tag of the new Apple TV in Brazil is payable in 12 installments without additional fees, and includes free shipping nationwide. Despite high levels of inequality, the Brazilian economy is huge and growing fast, and has in fact been predicted to become one of the five largest economies in the world in the next decade. Like in many countries, people love Apple products there. Heck, there’s even a Steve Jobs Avenue in Brazilian city Jundiai. Apple supplier Foxconn has a factory in the country, and the Cupertino consumer electronics giant will reportedly launch the new iPad in Brazil in a matter of weeks. Amazon.com is also tipped to kick off sales operations in the country later this year.